Today marks the 50th anniversary of the death of Nancy Astor (1879-1964), who occupies a significant place in parliamentary history as the first female MP to take her seat in the House of Commons following the passing of the 1918 Representation of the People Act. She was not, though, the first female MP to be elected: that distinction goes to Constance Markievicz (1868-1927), who joined her fellow Sinn Féin MPs in refusing to take her seat at Westminster after her election for Dublin St. Patrick’s at the 1918 general election. Several other female candidates, including the women’s suffrage campaigner Christabel Pankhurst, stood unsuccessfully in 1918. 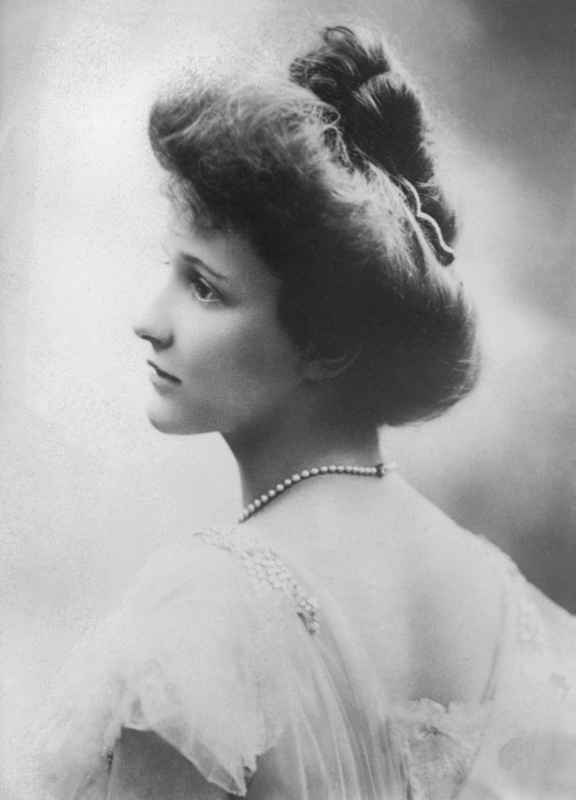 Unlike Pankhurst, Nancy Astor had not been involved with the women’s suffrage movement, and was perhaps best known as a society hostess in London and at Cliveden, supporting the political career of her husband, Waldorf Astor. He was the second husband of the American-born Nancy, who left the United States after the breakdown of her first marriage. The couple married in 1906, and Waldorf was elected as Conservative MP for Plymouth in December 1910. He was returned to Parliament as MP for the newly created Plymouth Sutton seat in December 1918. It was this constituency for which Nancy Astor was elected as a Conservative at a by-election in November 1919, after the death of Waldorf’s father, Viscount Astor, transferred him from the Commons to the Lords. By the time she entered Parliament, Nancy had five children with Waldorf to add to the son from her first marriage. During her election campaign she defended her decision to stand for Parliament rather than staying at home with her children, arguing that ‘I feel someone ought to be looking after the more unfortunate children. My children are among the fortunate ones’. After canvassing actively and dealing robustly with hecklers at her election meetings, Astor topped the poll with a majority of 5,203 votes. Astor took her seat in the Commons shortly before 4 p.m. on 1 December 1919. Fittingly for this significant occasion she was introduced by the Liberal Prime Minister, David Lloyd George, and the former Conservative Prime Minister, Arthur Balfour, a scene commemorated in a painting by Charles Sims. It was not until 24 February 1920 that she made her substantive maiden speech on what she referred to as ‘that vexed question, Drink’, although she had asked questions of ministers and made brief interjections in debate before this. Her support for temperance prompted her most significant legislative achievement, with the passing of a measure in 1923 prohibiting the sale of alcohol to anyone aged under 18. However, it proved something of an electoral liability, as her majority was cut in 1922 after the brewing interest ran an independent candidate against her. She also campaigned in the Commons on a variety of women’s issues, including widows’ pensions, employment rights, maternal mortality rates, nursery school provision and the raising of the age of consent. As the only female MP (until 1921) she received up to 2,000 letters a week from women regarding their concerns. At the beginning of her maiden speech, Astor referred to her unique position as ‘the first lady M.P.’ and argued that ‘the women of the whole world will not forget that it was the fighting men of Devon who dared to send the first woman to represent women in the Mother of Parliaments’. Her Plymouth constituents would return her to Parliament on a further six occasions, in 1922, 1923, 1924, 1929, 1931 and 1935, before she retired (rather reluctantly) from Parliament in 1945 at her husband’s behest. She died at her daughter’s home at Grimsthorpe Castle in Lincolnshire on 2 May 1964. Brian Harrison, ‘Women in a Men’s House. The women M.P.s, 1919-1945’, Historical Journal, 29: 3 (1986), 623-54.